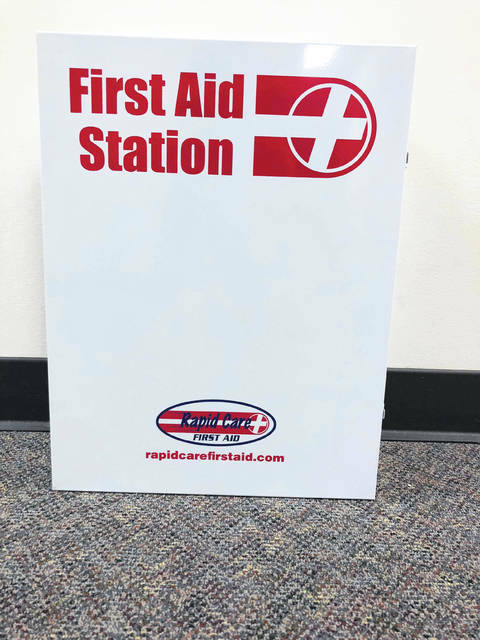 The Mason County Health Department is handing out first aid stations, free of charge, to churches and community buildings throughout the county. The distribution began last year, with additional kits being purchased recently. 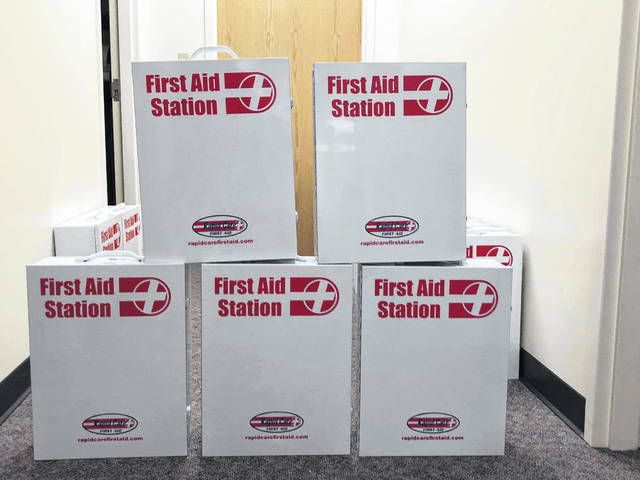 MASON COUNTY — For the second consecutive year, the Mason County Health Department has purchased a number of first aid stations to be distributed to eligible organizations throughout the county. According to Jennifer Thomas, nurse administrator for the health department, the stations are being given, free of charge, to any church or community building. A total of 70 first aid stations were distributed last year, Thomas said. Another 37 were purchased this year. Thomas said the health department staff knew of some eligible entities that did not receive the stations last year. Letters were sent out to them, but some were returned. The health department is now trying to locate any church or community center that has not yet received one of the first aid stations. They can call the health department at 304-675-3050 to make arrangements to get a station.